Kashmir is a surreal paradise and a highly popular tourist destination in India. Short tours in Kashmir give a great opportunity to explore the heavenly paradise at a stretch of 4 days. 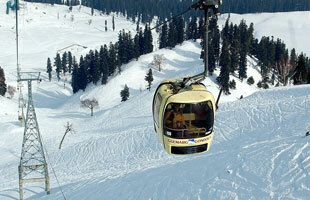 Enroute, you can explore Srinagar, Gulmarg and Pahalgam valleys in a single go. On arrival, you will be escorted to the deluxe houseboat a check in. Later you will leave on a sightseeing tour of the valley. You will be visiting Mughal Gardens, namely Nishat Garden, Shalimar Garden and Chashmashahi, along with the famous Shankaracharya Temple and Dal Lake. The night stay will be on houseboat. This day will be reserved for an excursion tour to Gulmarg. The hill resort boasts of not only picturesque locales, but also of the highest golf course in the world. One can also undertake small treks here. By late evening, you will be back to Srinagar, where you will retire for the night. 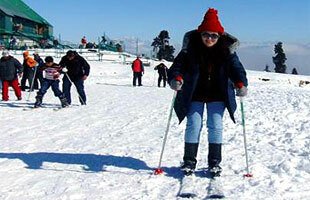 An excursion tour to Pahalgam will keep you occupied throughout the day. You can undertake various activities at the hill station, like golf, trekking, fishing, trekking, horse riding, alpine skiing, white water rafting, sledging, sightseeing, etc. By late evening, you will come back to houseboat for an overnight stay.